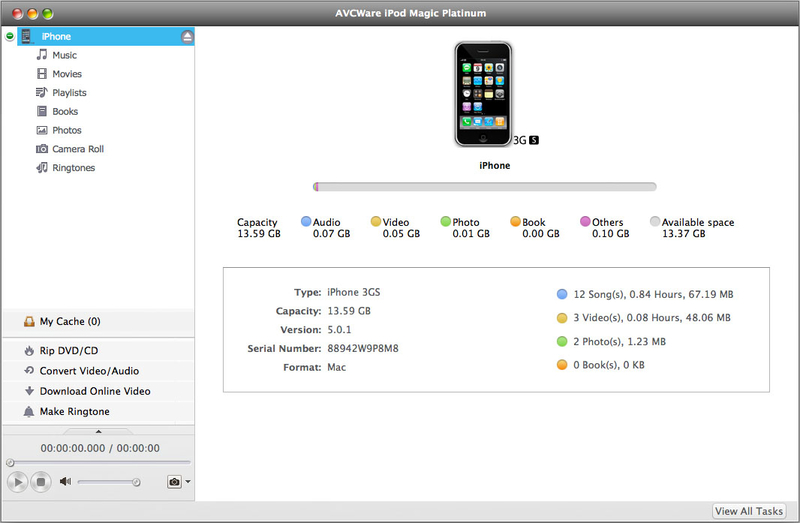 AVCWare iPhone Magic Platinum for Mac 5.4.10.20130320 - Download Win Apps. Transfer just about all video/audio formats and DVD movies to iPhone directly..
AIPMPFM supports file transfer from Mac to iPhone, and it can even transfer just about all video/audio formats and DVD movies to iPhone directly without the help of any other software. And now, it can also make iPhone ringtones from various video/audio files, download and convert desired videos from hot online video websites for iPhone. In comparison to AVCWare iPhone Magic Platinum for Mac is especially designed for Mac and new Apple iPad tablet fans to backup movies and music on Mac to iPad and transfer iPad contents to Mac as well. Also, it is possible to transfer iPad music and movies to iTunes.